Driving Connectivity: Succeeding in the Era of Mobility Disruption (part 2) - Infosys Consulting - One hub. Many perspectives. 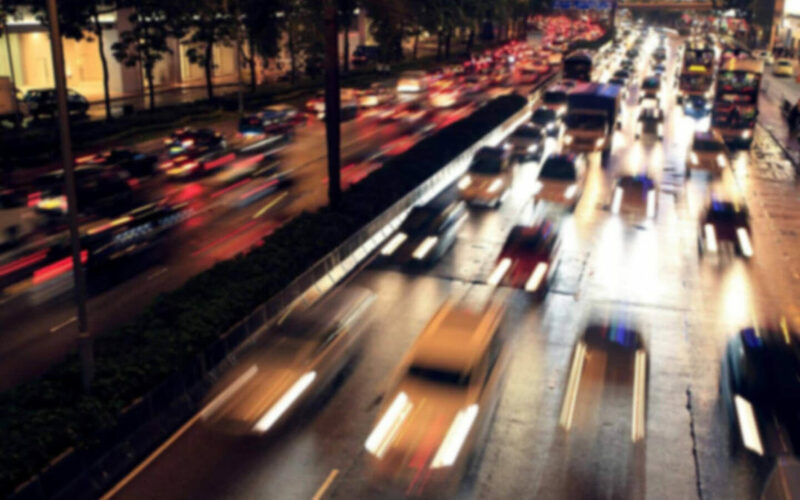 With the arrival of connected cars, vehicles now leverage software applications and high-speed networks to interact with the world around them. And while this is an incredibly exciting development for consumers, it presents original equipment manufacturers (OEMs) with a pair of existential questions: what pieces of the value chain do they need to own, and what new products will enable them to do so? 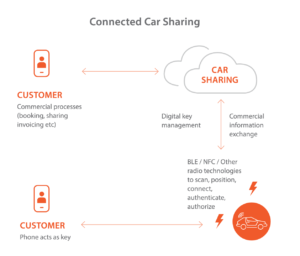 In this 2nd post of our series, Driving Connectivity, we will continue the discussion about how connected cars are reshaping the automotive industry landscape by exploring the categories of products most relevant to connected cars and discuss concepts to help OEMs shape their product strategy decisions. Read Post 1 here. 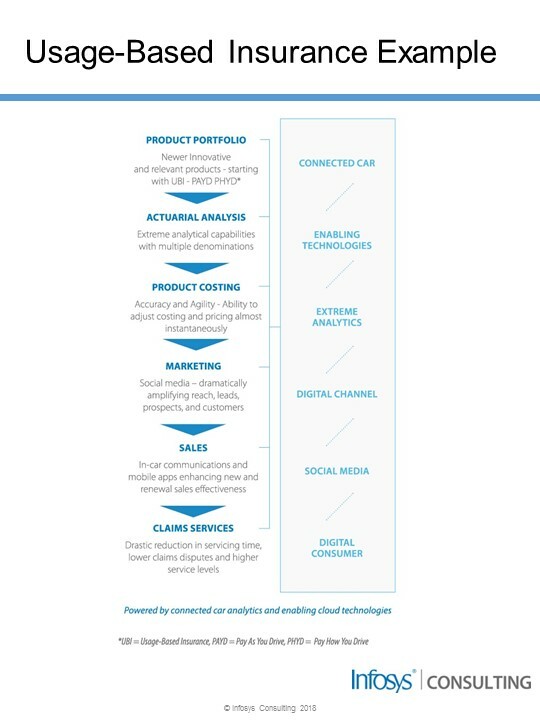 The first step to success in a world of connected vehicles is to develop a comprehensive product strategy. To do this effectively, two important elements are required: being able to correctly articulate what the future will require and making a set of build/buy/partner decisions for the key components of the value chain. The most successful OEMs will not necessarily be the ones who quickly build every element. Instead, firms should think holistically about the customer experience they wish to create and then map the best journey to get there. Fundamental management principles of value assessment, revenue potential, cost benefit analysis and long-term costs should be married with a keen focus on differentiation. It is vital to have a crisp understanding about the elements of the vehicle experience that will stand out and keep customers coming back to the brand. 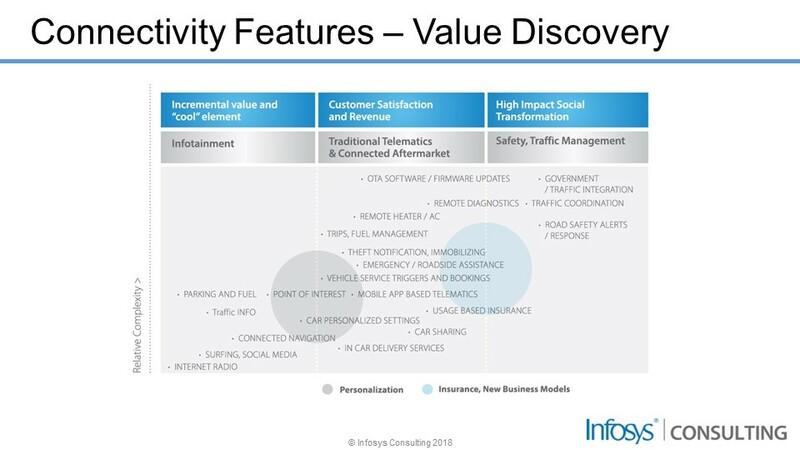 The first category, “Incremental Value”, includes a broad set of infotainment features. While it’s true that a connected car can credibly perform many of these tasks – and some of these low-hanging fruit opportunities are gaining traction for OEMs – smartphones have already delivered market-leading applications in many of these areas and represent strong incumbents. To shift user habits away from smartphones, OEMs will need to deliver significantly improved customer experiences, something that could potentially be accomplished either by making the features easier to access and use or by combining data sets in unique ways. Using the example of a route-finder application, a connected car could detect accidents on a driver’s route, flash a notification on the windshield heads up display and suggest an alternate route without requiring the driver to look down at his phone. This would represent an improvement on today’s incumbent experience, which requires drivers to divert their attention away from the windshield and, in some cases, look around the cabin for their mobile device. However, OEMs will want to choose their battles wisely. Each new feature will cost resources to develop and increases the overall cost of vehicle production. If customers ignore many of these new features in favor of smartphones, the investment will be wasted and will reduce overall competitiveness of OEM pricing. The most significant element of Aftermarket features is that they rely on vehicle-specific data and are therefore somewhat less susceptible to competition from smartphones and other third-party devices. In addition to having the potential to meaningfully improve the in-cabin experience, these applications also give OEMs the opportunity to establish direct, interactive customer relationships – something they’ve historically outsourced to dealers. For example, many of these features build upon existing telematics infrastructure and increase the intimacy of the passenger’s vehicle relationship by providing personalized concierge services, trip information management, emergency and roadside assistance, mobile app-based remote operations (lock-unlock as example), remote immobilization and stolen vehicle tracking. Owning many of these interactions may prove strategically vital for OEMs, as they serve as the foundation for the customer experience. If OEMs help the driver decide on their route, it opens the door to making recommendations. This is something that, if done well, could extend to becoming a personal assistant – a position of great power. Another opportunity in this area is the ability to enhance aftermarket efficiencies and customer satisfaction. For example, remote service bookings enable cars to remotely invoke a service request bundled with diagnostic data. This enables a service shop to plan in advance for the service required, optimizing customer service and repair shop efficiency. Further exploring this category, synchronous remote diagnostics include technologies like diagnostics over Internet Protocol (IP), which can be leveraged through remote diagnostic connection from the service shop to the car. This access to detailed diagnostics – without requiring the vehicle to be physically present in the shop – has the potential be a highly valuable platform for future use cases. Remote firmware updates provide an additional means of de-coupling of the car’s physical location and the means to improve it. Today cars must be physically present in the shop to receive software updates. But by enabling over the air (OTA) remote software downloads and updates, software-only fixes can be performed at a fraction of cost and time. A large-scale recall could potentially be resolved or mitigated by use of such features, saving up to billions of dollars in recall costs. However, these features are complex and require significant changes in underlying vehicle electronics architecture to support the volume, speed and technological aspects. These aspects include networks, protocols, and vehicle software configuration management. Despite the attractive commercial potential of this category, these features also need to be aligned with automotive customer service processes to ensure a complete solution is delivered to the customer and dealer. These processes should be supported by organizational and process discipline in areas such as dealer interaction with customers, keeping an eye on the ultimate impact to service shop revenues. Perhaps more transformative than the introduction of new features is the emergence of entirely new connectivity-enabled business models. We are still early in the maturity cycle, so it remains unclear which of these paradigms will generate the largest financial rewards. But with many exciting use cases already emerging in the market – such as car sharing, usage-based insurance, in-car deliveries and concierge services – there are ample opportunities to examine this rapidly evolving space. 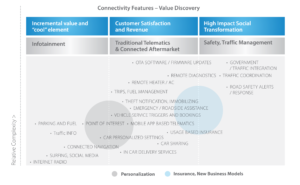 Each of these new models leverages advancements in connectivity to drastically reduce the friction required to deliver external services inside the car. Car sharing, for example, used to rely on a centralized location where drivers would check-in and collect keys or smart cards. 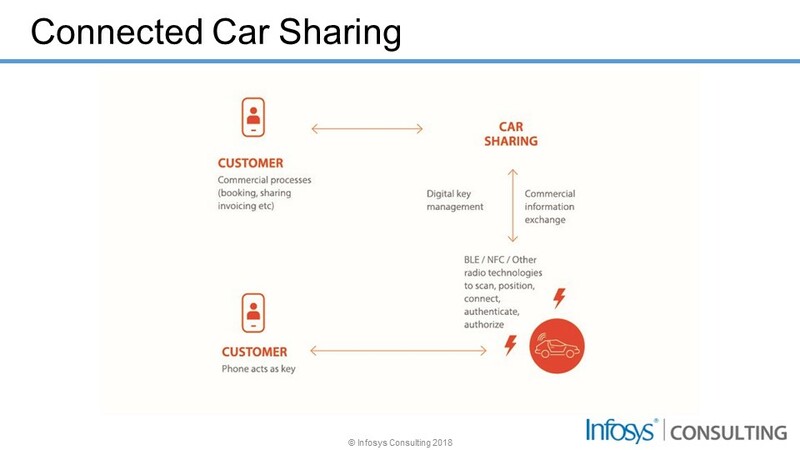 But now, using Bluetooth Low Energy (BLE) or near-field communication (NFC), drivers can simply go to the nearest shared car and use an app on their smartphone to reserve, unlock and start the vehicle. This completely removes the dependence on a centralized location and the need to manage a physical inventory of keys. When the management of a shared fleet of vehicles relies purely on software and back-office staff, the lines between an OEM and a shared-car service begin to blur. Looking to the future, will drivers of the future subscribe to vehicle services from Zipcar that provide access to several OEMs’ vehicles, or will they go straight to BMW to gain access to a shared fleet of cars from Bavaria? Vehicle insurance is another huge market where vehicles, and the OEMs who manufacture them, are dramatically increasing their level of interaction. By leveraging connected, in-vehicle devices, insurance companies are now able to track driving patterns to assess individual driver risk based on personal driving data. This customized information enables insurance companies to more accurately match premiums to risk, ultimately leading to increased profits. And it benefits society through improved driving behavior, leading to a reduction in accidents and energy consumption. 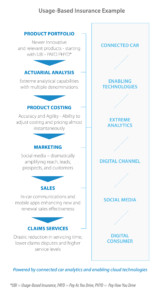 Looking to the future, one can easily imagine joint go-to-market opportunities for OEMs and insurance companies, with tighter device integration leading to opportunities for increasingly customized insurance rates. In areas where OEMs attempt to take the lead on business model innovation, it will be crucial to employ modern product development practices such as design thinking. The starting point to any successful product development journey is identifying the correct problem to solve. Too often, companies direct their focus within their own four walls. Instead, design thinking guides firms to shift focus externally, placing their attention on customer empathy and outside-in thinking to rapidly build and test prototypes. By focusing on customer needs and quickly getting minimally viable products to actual consumers, companies can find innovative solutions that resonate with customers without over-investing valuable time and money on solutions that fail to gain traction. Beyond the enablement of new features and business models, the ability to collect and intelligently share data can also be leveraged deliberately for the betterment of society. Traffic management, transportation safety and driver behavior are all areas that, with timely access to specific data, can be improved in ways that benefit society as a whole. Imagine, for example, a pothole on a country road that has developed in early spring. Without road-sensing modules that feed data back to a vehicle cockpit, drivers could fail to spot the obstacle until the last moment and might swerve to avoid it, potentially triggering a destructive accident. When that information is presented even a few seconds in advance – and particularly when the vehicle suggests corrective actions to avoid the obstacle – it can convert a potential accident to a non-incident. Pushing this paradigm further is the realization of fully autonomous driving, which promises true transformational change in areas such as vehicle ownership, safety, traffic and urban space management. In these areas, OEMs will need to work closely with their peers, government agencies and third-party providers to craft frameworks and policies to govern what will be an entirely novel consumption and usage model. To succeed in this disruptive environment, OEMs will need to carve out ambitious but achievable strategies and pursue them with dogged commitment. From the board room to the assembly line, these endeavors will require tight cooperation throughout all levels of an organization. The stakes cannot be any higher, given the potential for OEM market share across the automotive industry to be completely remixed. In our next post, we will explore the ways OEMs can equip their businesses to accommodate the blending of software development with traditional automotive manufacturing, touching on topics from project organization to overall technology strategy. 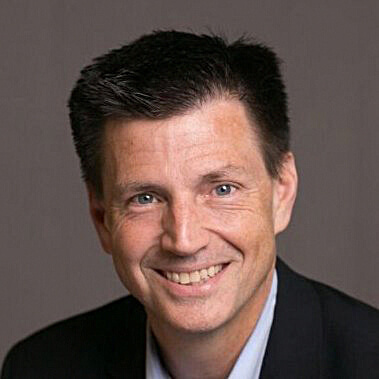 Jeff is a senior partner with Infosys Consulting and leads its manufacturing and high-tech consulting practice. With more than 25 years of industry experience, he has served many of the world’s leading companies through strategic analysis and business transformations. Beyond his client responsibilities, Jeff serves on the boards of the Institute of Business Analytics at Indiana University and the Marketing Analytics Advisory Board at the University of Texas at Dallas, where he is also an adjunct professor. You can follow his insights on Twitter at @jeffkav. 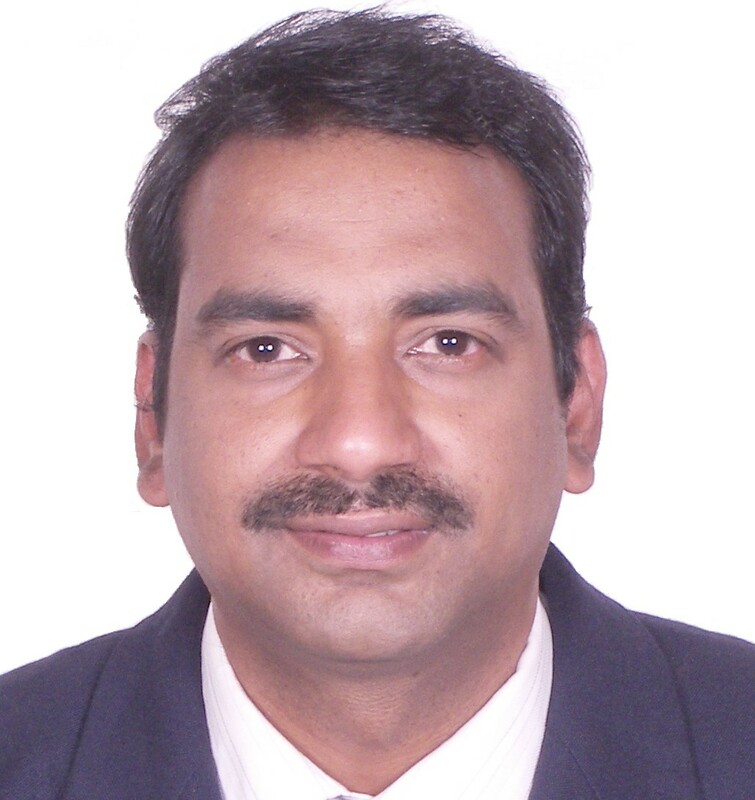 Srivathsan is a senior principal in the manufacturing practice of Infosys Consulting, specializing in connected vehicle product strategy and process transformation. During his decade as an automotive industry practitioner, he was responsible for initiatives spanning vehicle parts ordering and fulfillment, auto finance, warranty, and automotive sales. In his consulting career, he has become a recognized expert in the field of automotive telematics and connected platforms. He has also led global automotive supply chain and dealer programs, serving clients in Asia, Americas, and Europe. The article is extremely informative and helps churn the imagination by giving a peek into the future of connectivity in cars.